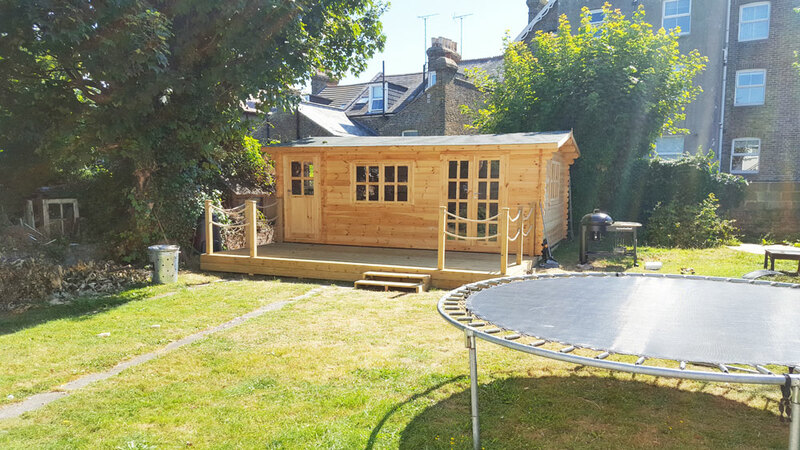 In May 2016, Mr and Mrs Lodge from Broadstairs approached Kent Cabins with a view to us building a cabin at the foot of their garden. 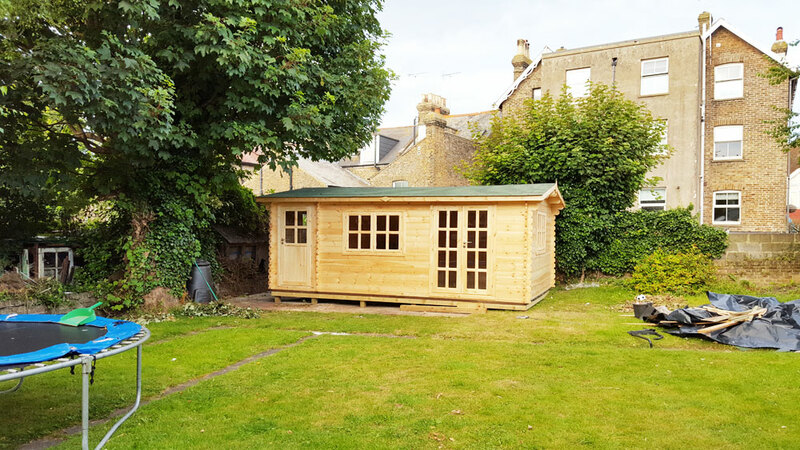 Having had an initial site survey and showed them the cabins on offer, they opted for a 6m by 4m Nebraska cabin with a separate store for bikes, lawn mowers, tools, etc. 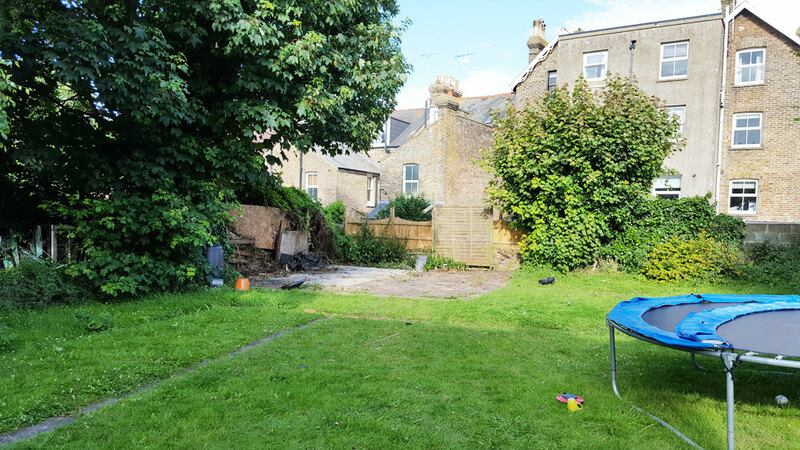 At the start of the project, a dilapidated summer house which has been built too close to the property boundary. 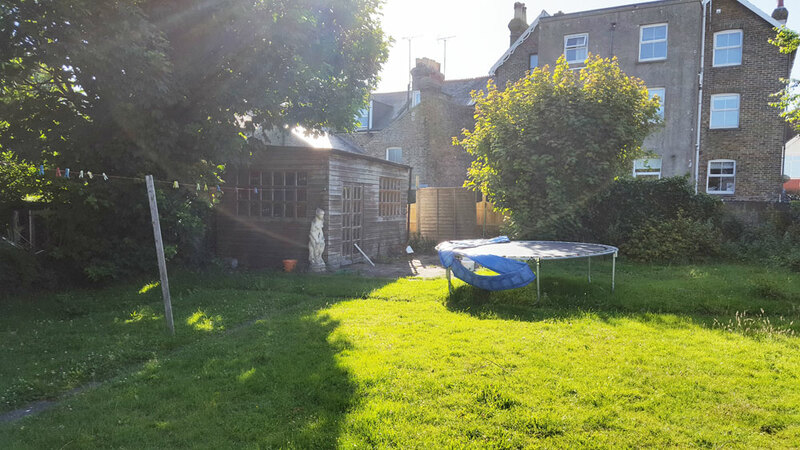 After the old summer house had been dismantled, it was time to build the base. 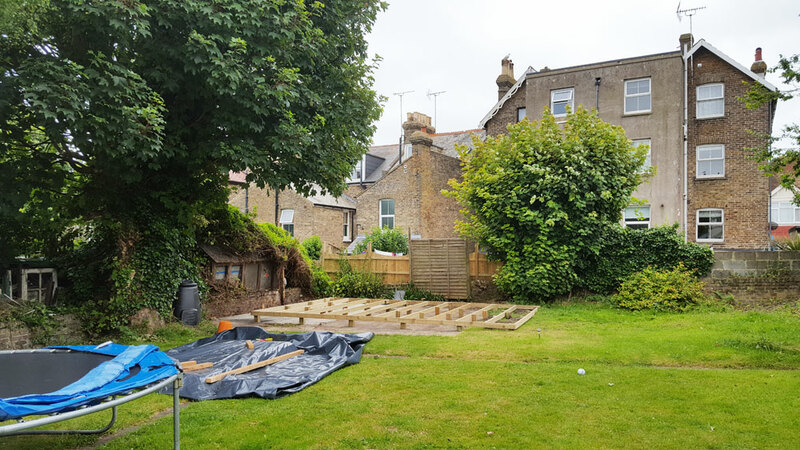 The property is on a slight hill and so we need to build the perfectly level basework onto which we could build the 6m by 4m Nebraska cabin . 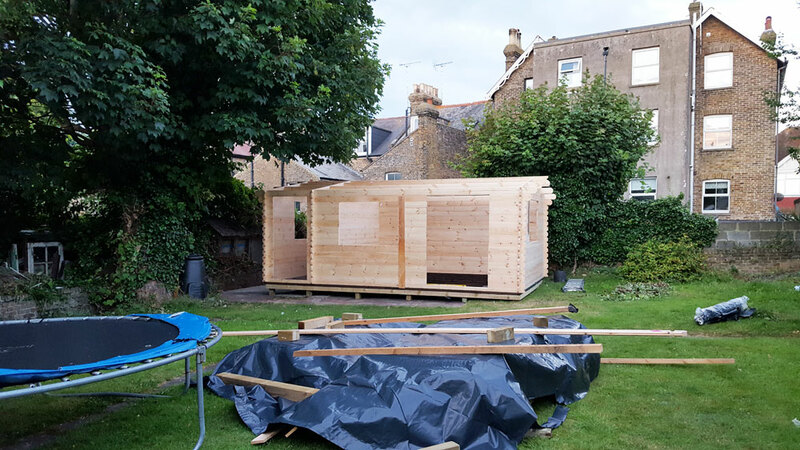 Once we get going, the bulk of the build is very quick and this stage was reached in only a few hours after the cabin was delivered direct from Sweden. 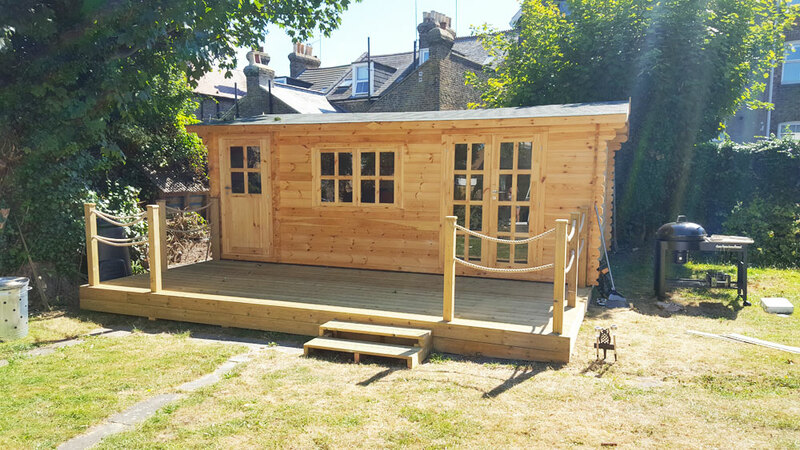 And the following day, the cabin itself was complete with oak laminate flooring and usable and Mr and Mrs Lodge were able to get in and start to get their new furniture inside. 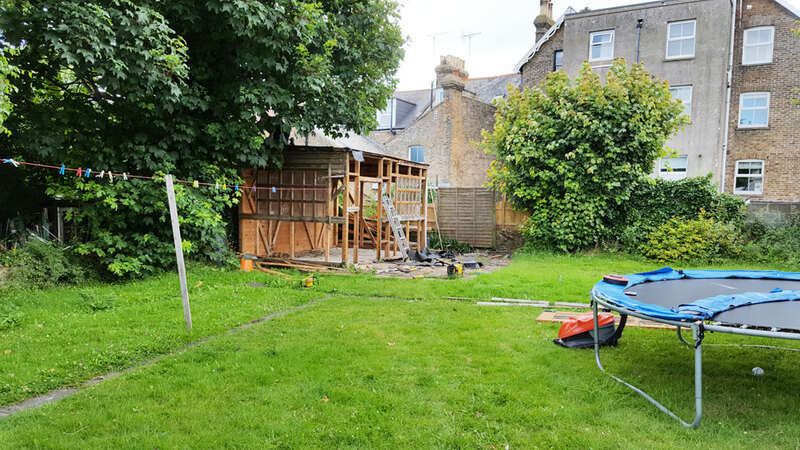 After some further discussion about how the cabin would be best finished, the team discussed some additional decking outside along with roped balustrades. 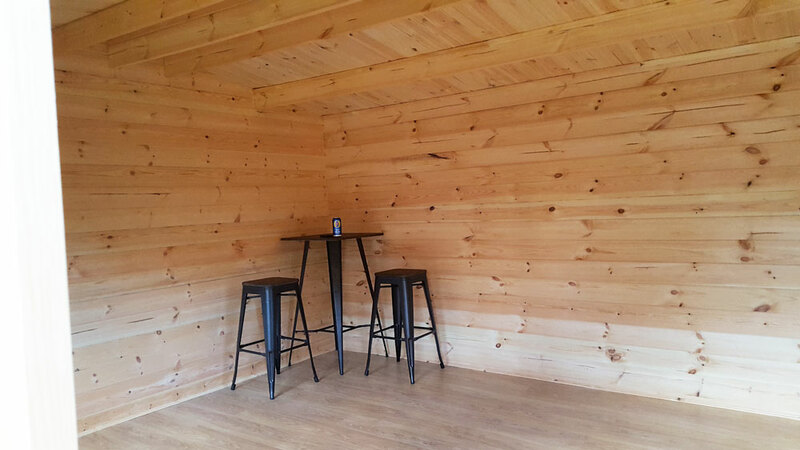 And now the cabin was ready to use in its completness. 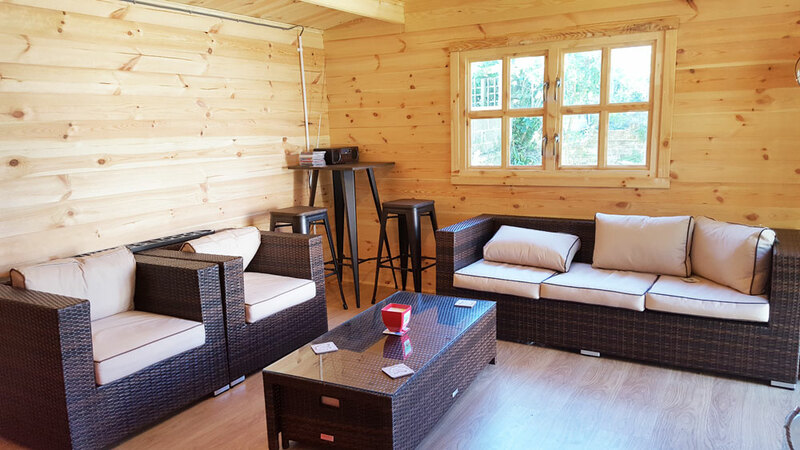 Mr and Mrs Lodge bought some rattan furniture for the interior to make it real outside room. 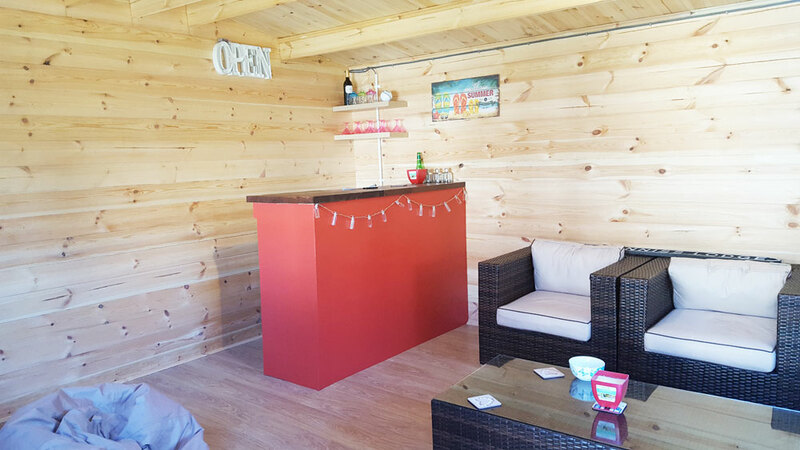 The final piece of the jigsaw was the bar. 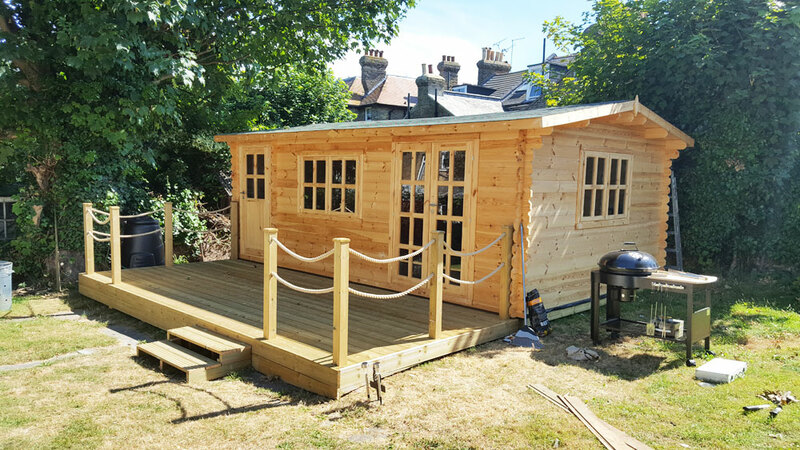 This was built by some of the Kent Cabins team from scratch with wood from a local wood yard. "Everything that we expected and more ..."